This two-hour workshop will explain how spending time at our crafts (knitting, crocheting, quilting, and the like) can negatively affect our bodies, and demonstrate how simple, gentle yoga can compensate for these effects. Bring your knitting to work on while listening to presentations, and wear comfortable clothing that you can move in during the yoga exercises. 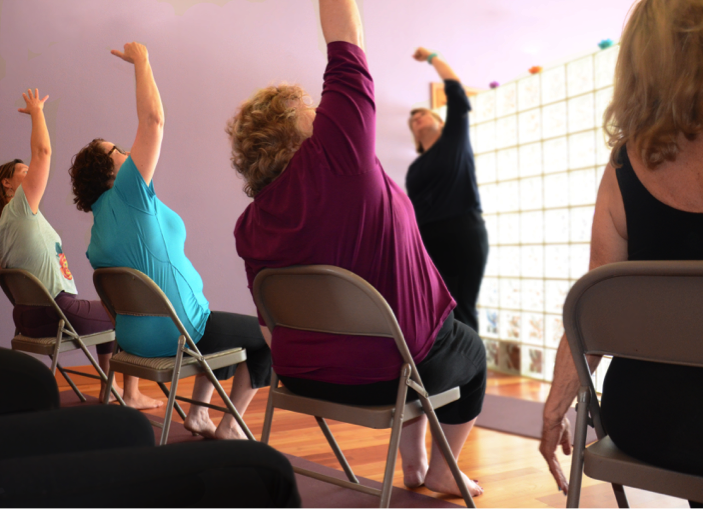 We will practice yoga in chairs and while standing - no mat, equipment, or experience is necessary! You will leave this workshop with a new understanding of how yoga can ease the stiffness and pain that often follows a knitting session.